This past year was so full of busy-ness that I feel it's been of great benefit to myself to write out some of the things that I've learned. Is it the same with you?--That when you are in the great business of living life that you often times don't have time to sit and really appreciate what you have learned from the successes and struggles that life has presented you with? 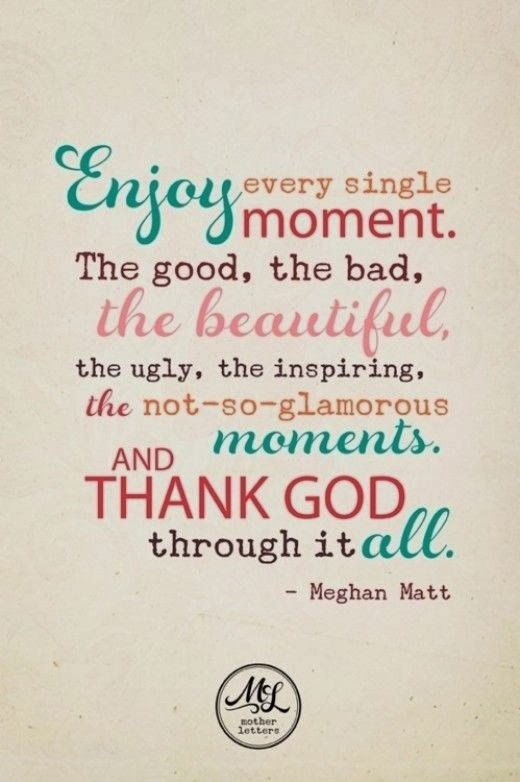 I've tried to make an effort to be thankful "through it all". The good, the bad, they've all offered something spectacularly valuable to my life. 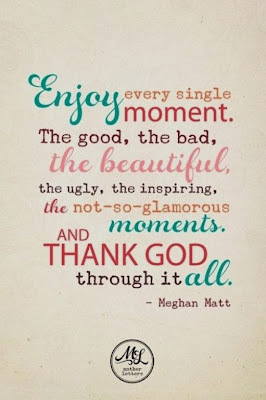 Even if I may not get it in the moment, I try to be grateful for the challenge to use my head. Perhaps the lesson is not of great value now, but will serve me in the future! Oh joy! I love joy! 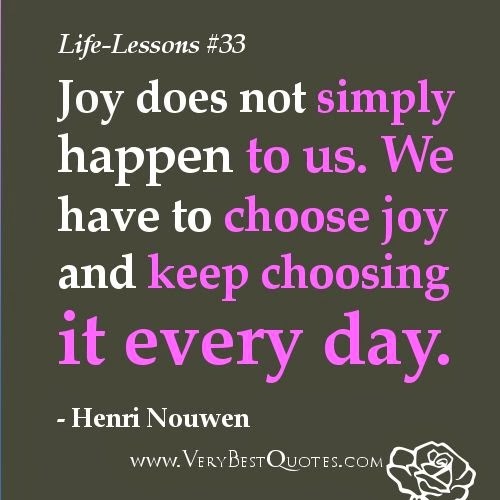 Let me explain how choosing joy has affected me this past year. Without naming names...there are certain people in my life (and no doubt yours too) that are pessimists. The glass is always half empty. Everything is dark and dreary, even the things that are considered successes to most are considered to have some downside from these persons. The thing is....I don't want to wait for Joy to find me. I want to find joy. Joy isn't just going to happen to me or you. We have to choose it! Are things going to be pretty and lovely and perfect all the time? No way. In fact, life is so challenging. We have challenging events, challenging people, challenging times. 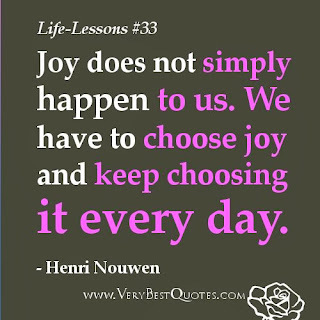 If you choose only to see how they are negatively affecting you then of course it's easy to leave out joy. But to every negative, I am choosing to see a positive. That doesn't mean I don't have seasons of sadness or disappointment, or feel let down. But rather than dwelling on those things, I'd rather move forward and find peace. Peace can be found when you choose joy. If I'm true to myself then I find myself happy. When I try to be something I'm not, or force myself to try to conform, I find that I loose steam quickly. 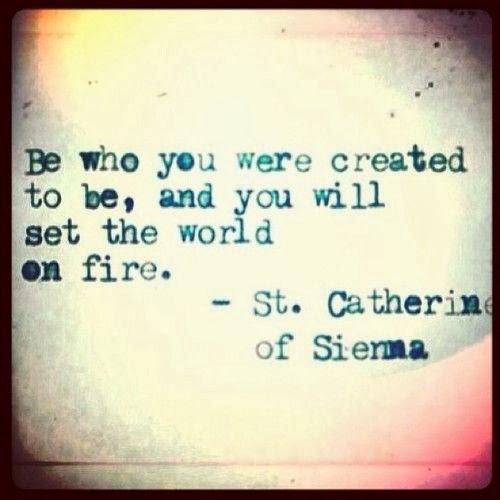 Just be you. I am good enough. And who knows....good stuff may come from just being ME! 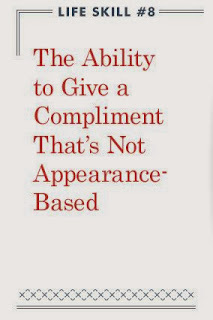 When you give compliments you help build someone up. And you may make a new friend. 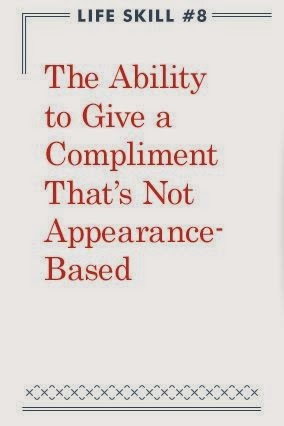 And you'll make someone feel good about them self. And...you may just make their day. It may be the only nice thing someone hears that day. Give it a go. It's great to see someone smile. "Happiness" and "kindness" can be contagious!